20% of Carlson Rezidor’s returning customers complete their booking. 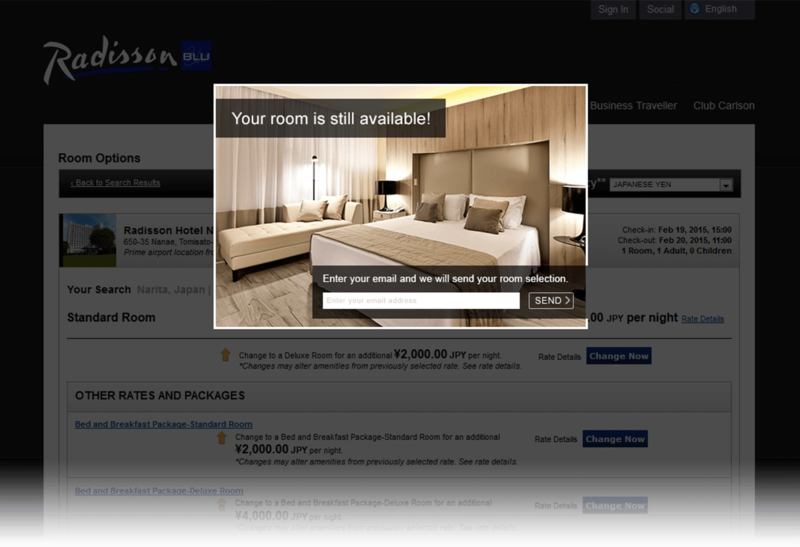 Through SaleCycle, Carlson Rezidor APAC have implemented multi-cycle email remarketing strategies across a number of their hotel properties. The first email is delivered an hour after customers abandon a booking. It has a customer service tone, includes full booking details and links the user back to the point where they left the booking. A second email is sent 24 hours later, and this is used to highlight the benefits of the chosen property, encouraging the visitor to finish their purchase. A personalized and multi-cycle approach to email campaigns has been extremely successful, with more than 20% of returning visitors completing their hotel reservation. 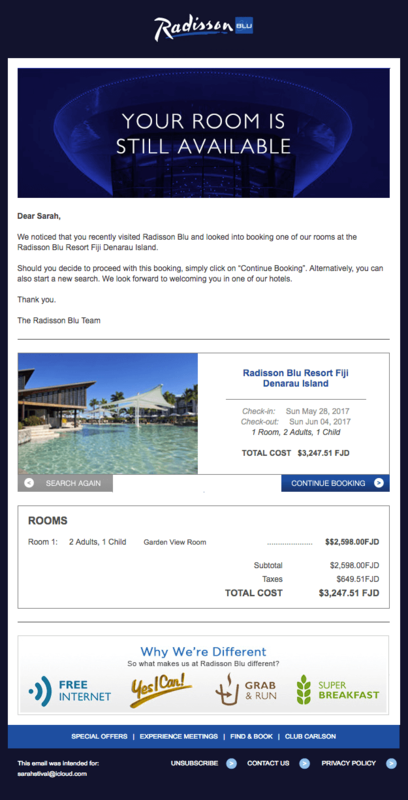 The inclusion of both the customer’s name and hotel details in the email subject line resulted in an impressive average open rate of more than 53%. 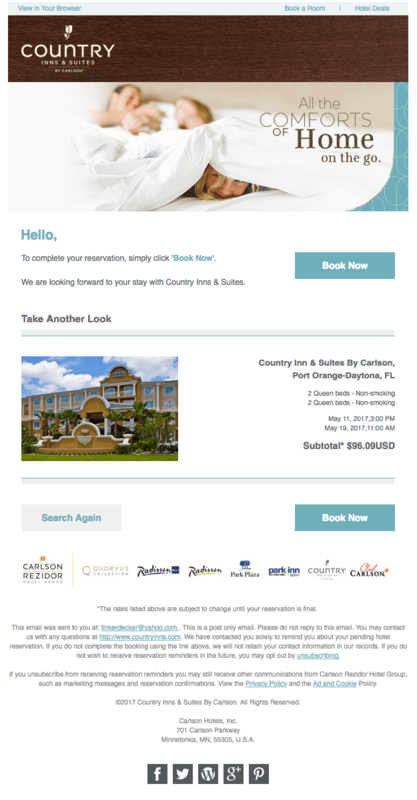 With the full booking details and hotel benefits highlighted, the personalized nature of the emails result in over a quarter of recipients clicking back to the site. SaleCycle’s remarketing campaigns have allowed us to provide our visitors with the exceptional level of customer service they would receive during their stay, from the moment they start to book. Email My Booking	Let abandoners save it for later. Booking Abandonment Email	The Country Inns approach. It’s a fact; most bookings are left abandoned. Booking Abandonment emails enable you to reconnect with visitors who’ve abandoned their booking; reminding them what they’ve left behind and tempting them back to complete the booking.